In this chapter the ideas in Chap. 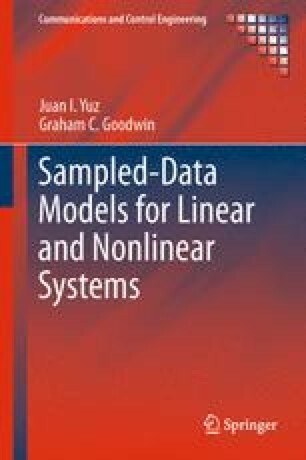 16 are extended to obtain approximate sampled models for stochastic nonlinear systems. In particular, the concepts of time-domain approximate stochastic sampled models based on up-sampling and successive integration are extended to the nonlinear case.